KitchenAid 4.5-Quart Classic Series Stand Mixer for $189.97! Down From $350!! You are here: Home / Great Deals / Amazon Deals / KitchenAid 4.5-Quart Classic Series Stand Mixer $189.97! Down From $350!! KitchenAid 4.5-Quart Classic Series Stand Mixer $189.97! Down From $350!! 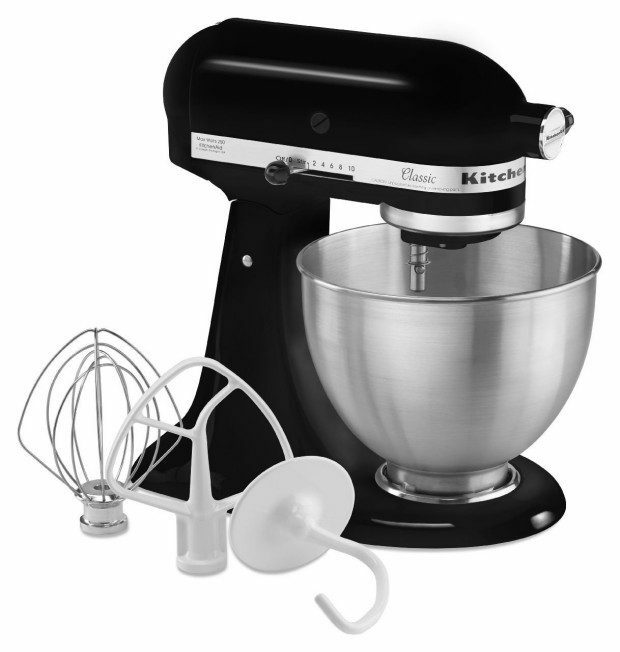 If you are into baking or you want to be, the KitchenAid stand mixer is what you need. Whether you are buying for yourself or you want to drop a huge hint to someone, this mixer will be with you for a lifetime! (I’ve had mine for 20 years, my sister-in-law has had hers for over 30 years!) Head over to Amazon and order the KitchenAid 4.5-Quart Classic Series Stand Mixer for $189.97! Down From $350!! Shipping is FREE!